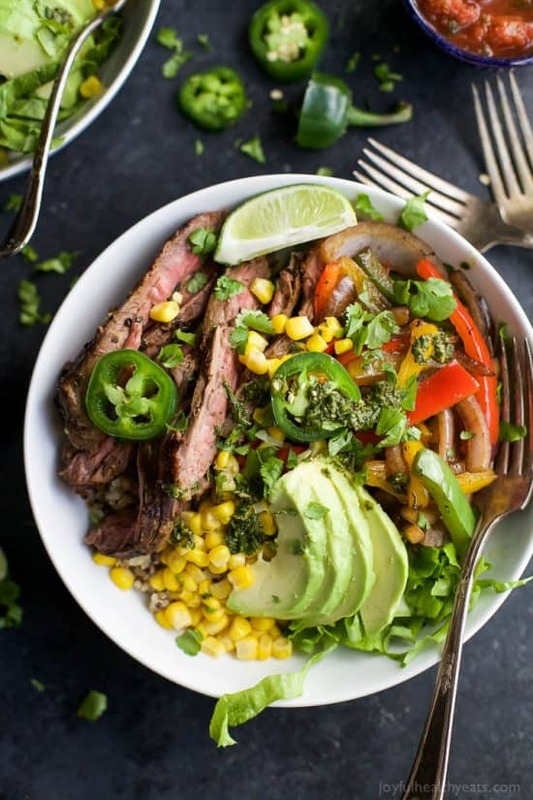 30 of the BEST HEALTHY & EASY SALAD RECIPES out there! 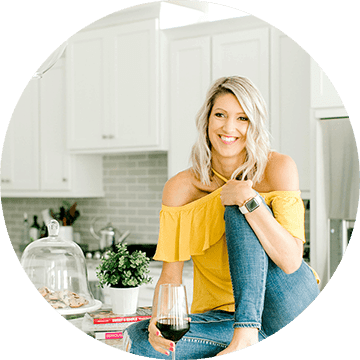 Easy, Fresh, Light, and Quick to throw together Salad Recipes your family will love having on the dinner table! Bring on bikini season! Truth be told, I do love a good salad. In fact, when we go out for dinner I will normally order a salad. Not because I’m trying to be healthy, but just because if it has all the right “fixings” in it, it’s gonna be one good salad! To me, a dynamite salad has multiple components. If it doesn’t have these, I won’t eat it. I’m kinda a salad snob in that way. Layers of flavor!!! Don’t just give me iceberg lettuce with carrots, tomatoes and cucumbers. Yuck! There’s nothing there. Give me some flavor. Give me something to think about, a reason to dig through my salad to get that last roasted beet or whatever it is. Dynamite Dressing. It’s as simple as that. The sauce makes the salad. Bad sauce. Bad Salad. Good Sauce. Good Salad. Period. 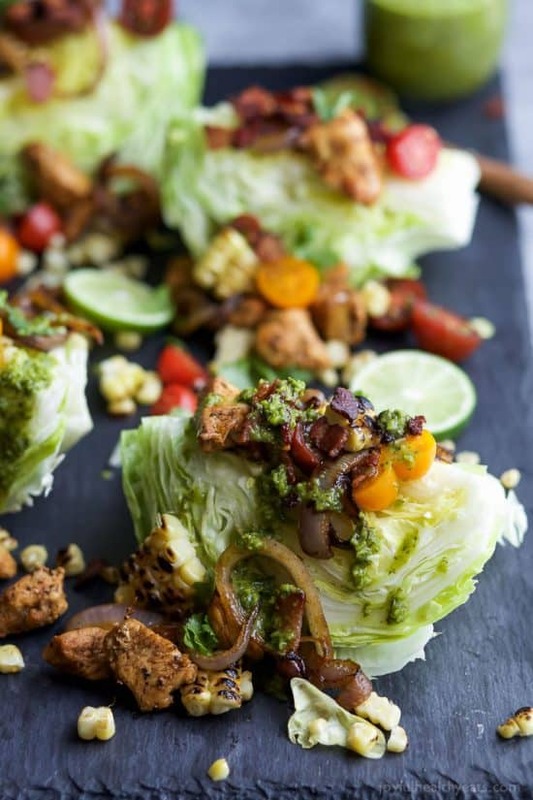 NO Iceberg, unless it’s a Wedge Salad. Then all is forgiven. But really ya’ll, there is no nutritional value at all in iceberg (or romaine) buy the stuff that looks like weeds and get over it. It has flavor to it, nutrients, and who knows, you might like it! All that to say. 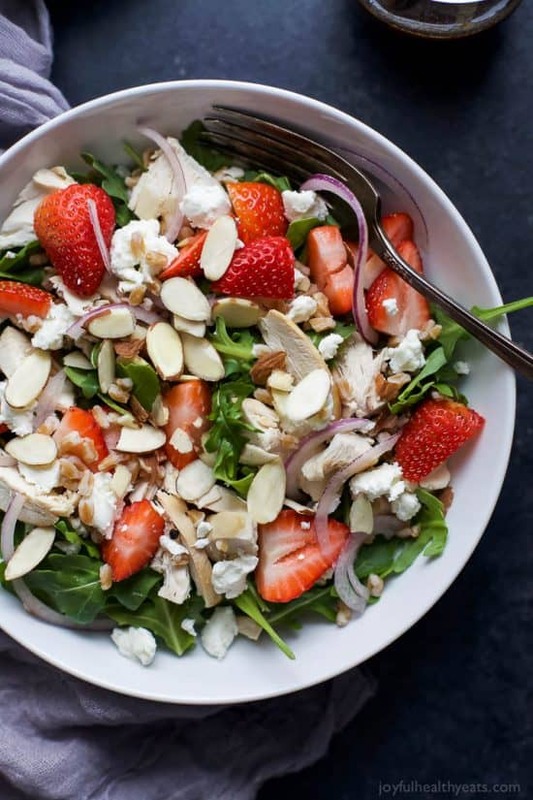 Salads can be a lot more than Rabbit Food. 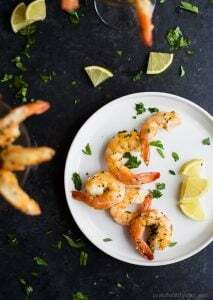 They can be a bomb of flavor going off. And I guarantee if you pick the right ones you’ll be craving salad from here on out! Which, hey-oooo it’s almost Swim Suit season so craving salads = muy bueno! On that note, I’m just gonna drop 30 of the BEST Easy & Healthy Salad Recipes I could find right here in yo lap… err… face. I know you’re gonna enjoy every last one of these bad boys! And I can’t wait to hear which one becomes your new favorite! Bon Appetit ya’ll and happy Wednesday! 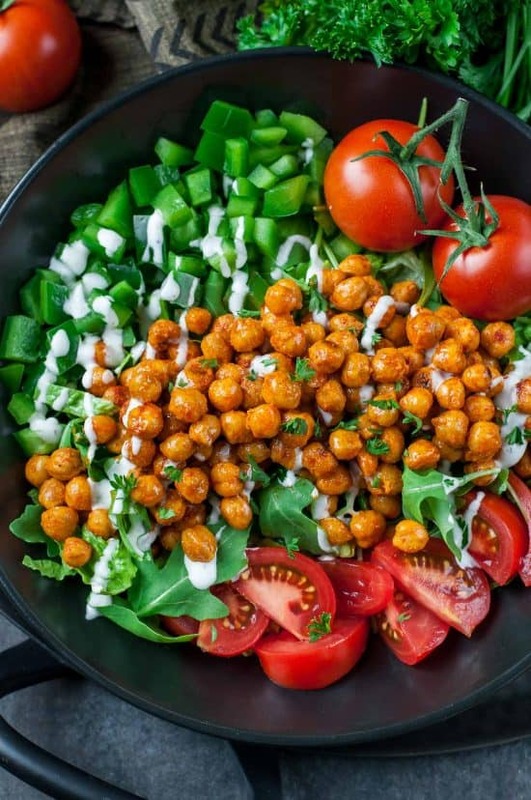 This Buffalo Chickpea Salad is super easy to make, loaded with veggies, and delivers a much needed high-five to the tastebuds. Try it today! 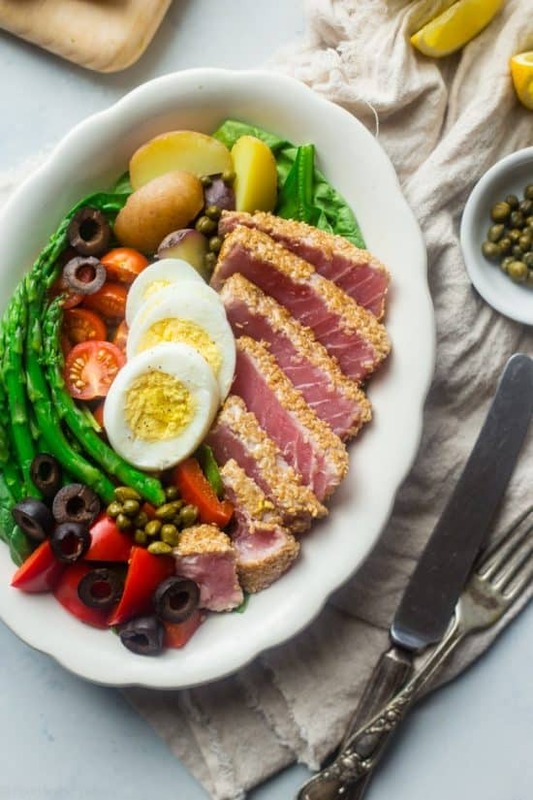 This Asian Nicoise Salad is healthy spin on the classic that uses a sesame ginger vinaigrette and seared tuna steaks for a healthy, whole30 compliant paleo-friendly meal that’s packed with protein! 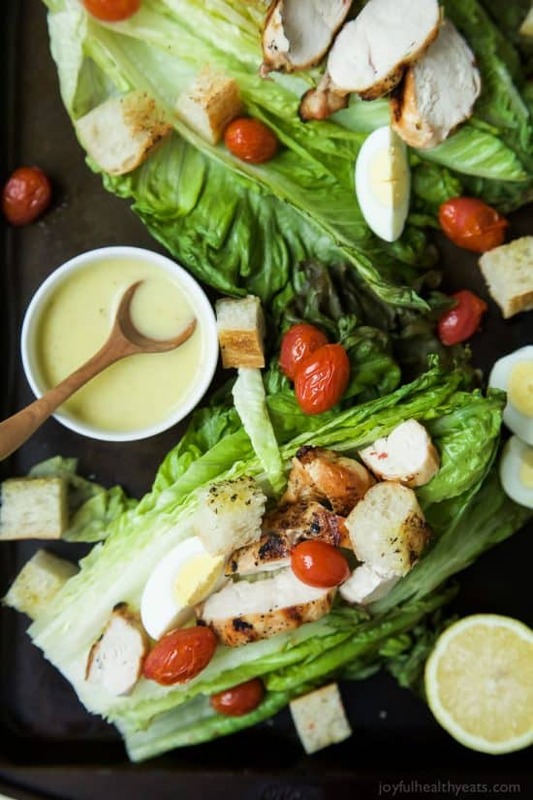 Grilled Chicken Caesar Salad with a Light Caesar Dressing that is egg and anchovy free! 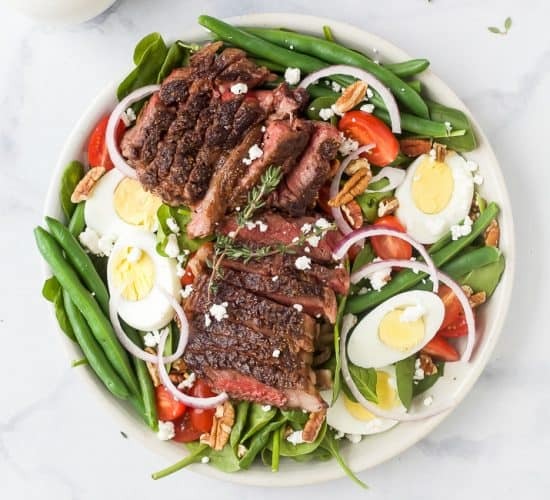 This Salad takes 15 minutes to make, is 289 calories a serving, and you can’t beat that dynamite grill flavor infused throughout this dish! 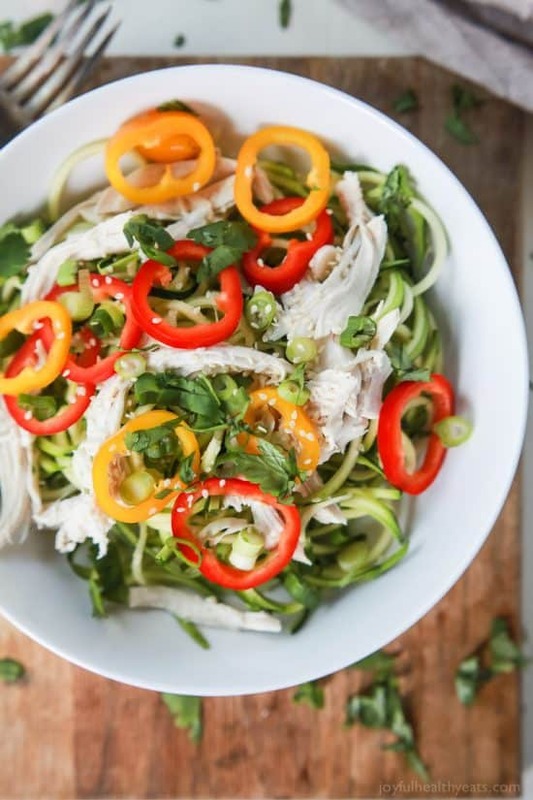 Thai Chicken Zucchini Noodle Salad with a Sesame Vinaigrette done in 15 minutes and only 324 calories. 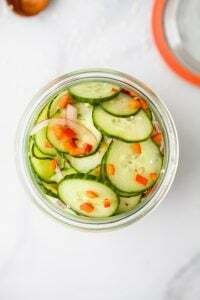 This salad is served cold with raw zucchini noodles, it is refreshing, light, filled with bold flavors and perfect for the summer! 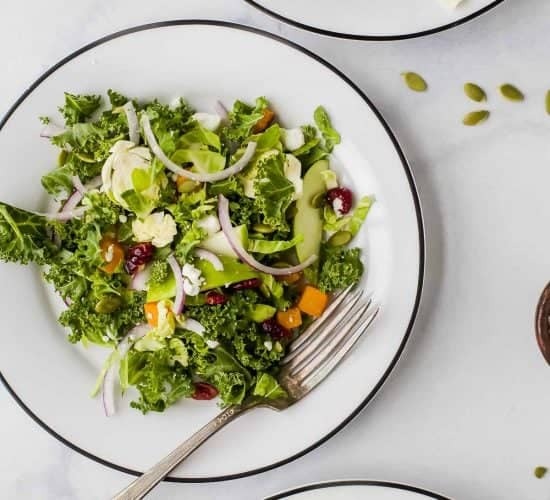 A satisfying ZIPPY pear goat cheese kale salad packed with delicious ingredients and a light honey dressing. 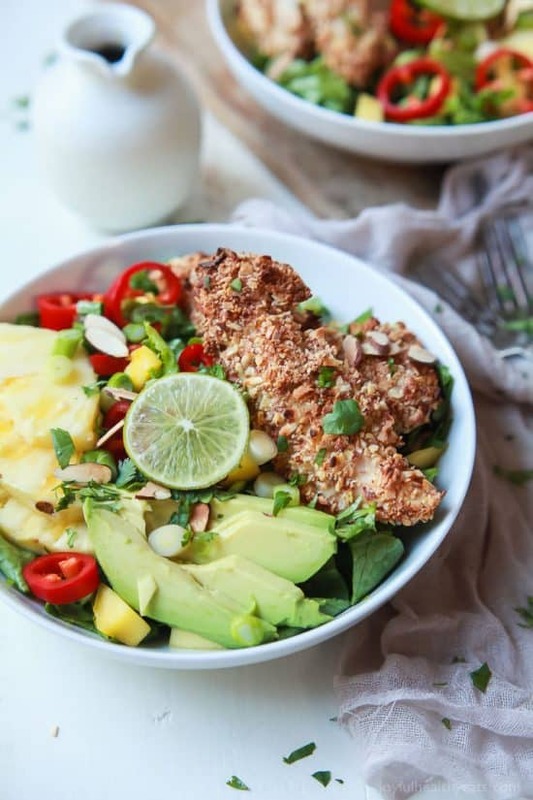 Change up your salad game with this Tropical Coconut Chicken Salad filled with fresh exotic fruits and homemade Almond-Coconut Crusted Chicken Tenders. 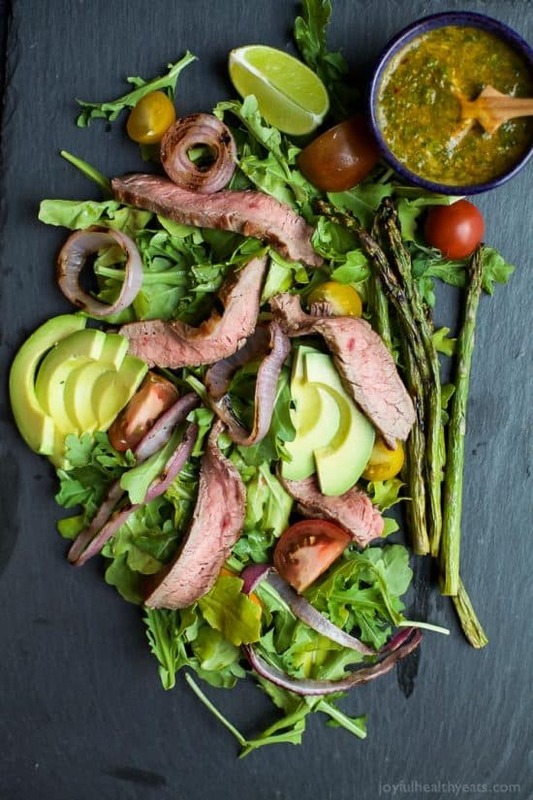 It’s a swoon worthy salad that’ll take you to the beach and you’ll want to repeat all week! 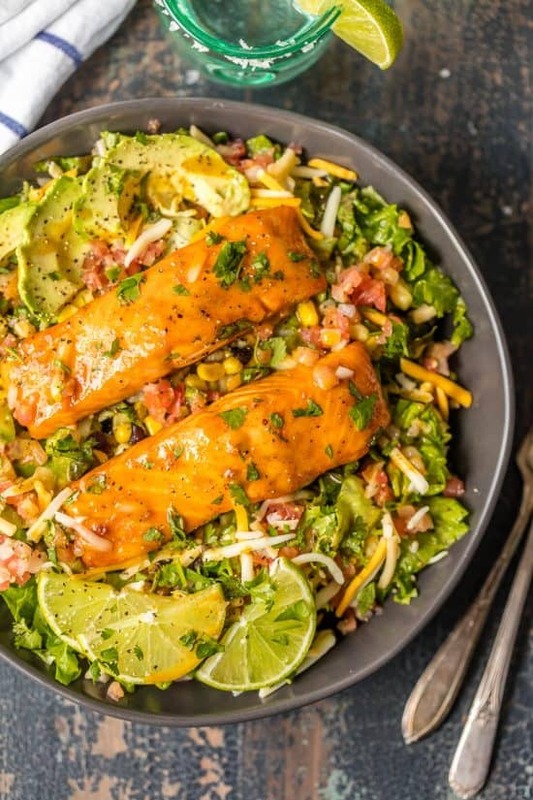 This TEQUILA LIME SALMON SALAD is the perfect hearty and delicious salad for any occasion! 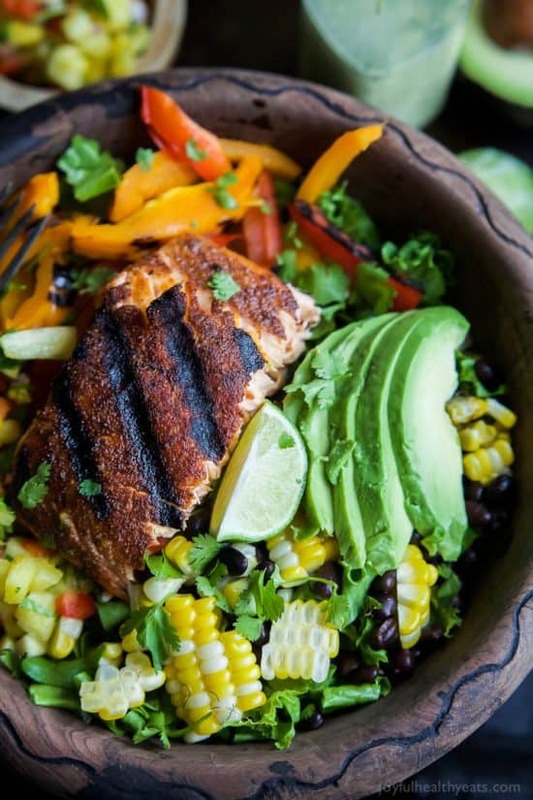 Salmon topped with a spicy tequila lime marinade and laid atop a bed of lettuce, corn, beans, avocado, pico, and more! 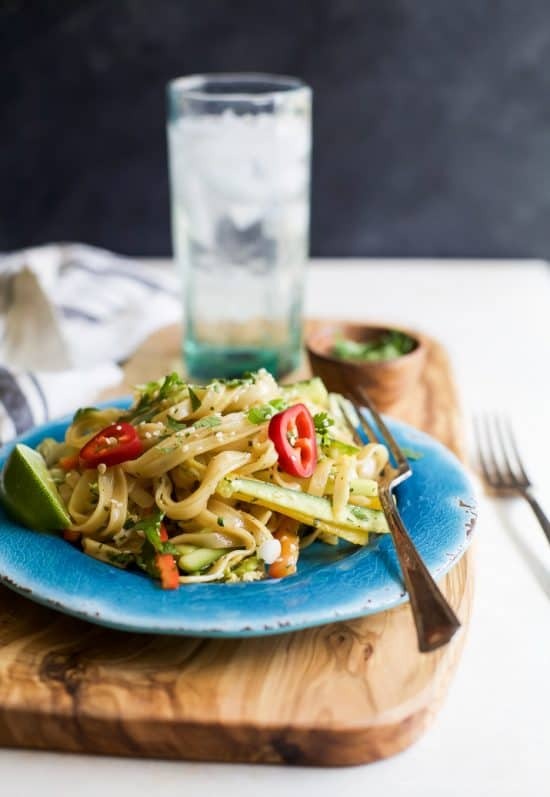 Asian Noodle Salad with a Spicy Sesame Dressing – easy to make, low in calories and bursting with flavor. Once you try this you’ll be craving it all the time. 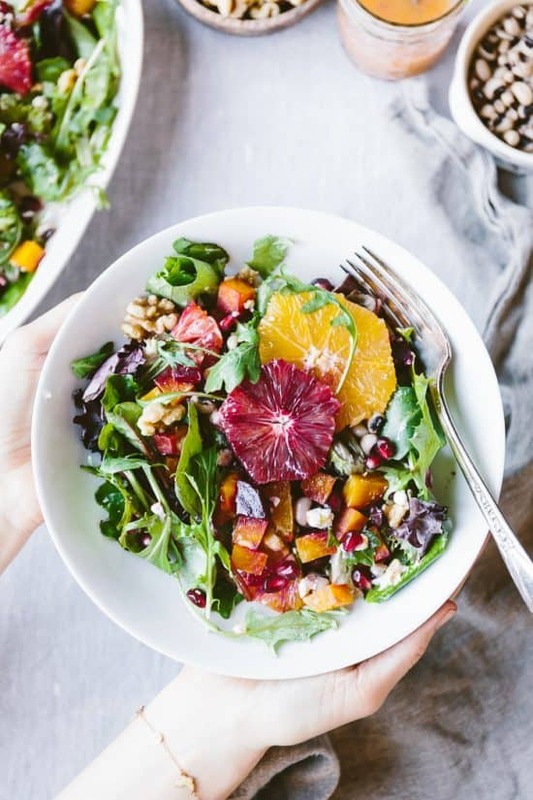 This Citrusy Roasted Beet Goat Cheese Salad is flavored with lucky black-eyed peas, Cara Cara and blood oranges, pomegranate seeds, and walnuts. 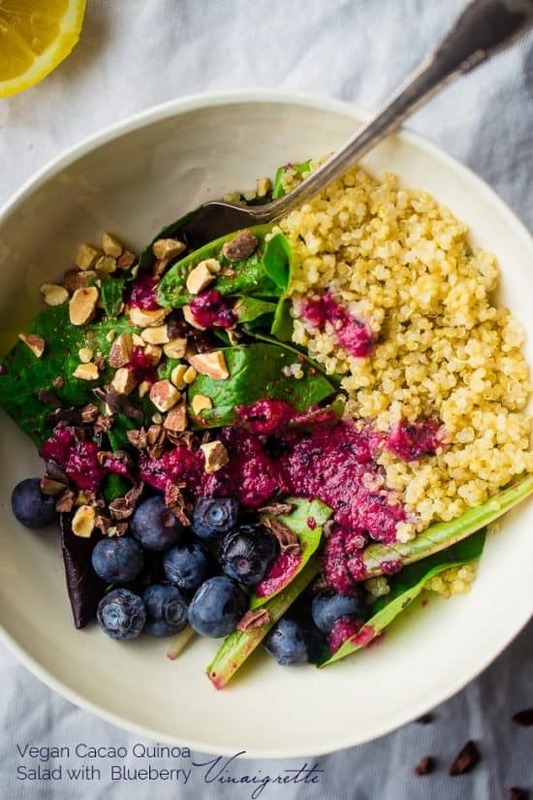 This quinoa salad recipe has almonds, cacao nibs and a blueberry vinaigrette. 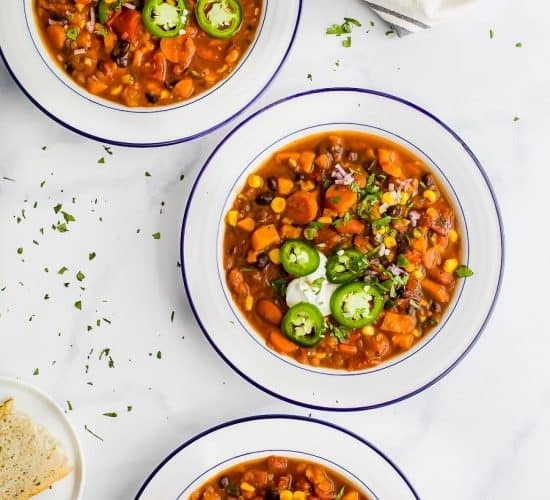 It’s an easy, gluten free and vegan meal that’s packed with superfoods for only 360 calories! 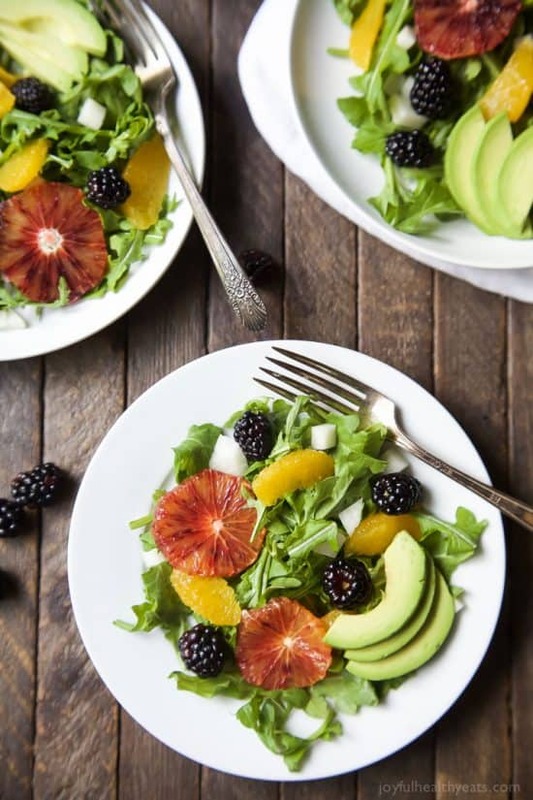 Summer Citrus Avocado Salad filled with fresh blackberries, avocado, spicy arugula, and vibrant citrus then finished with a Citrus Vinaigrette. 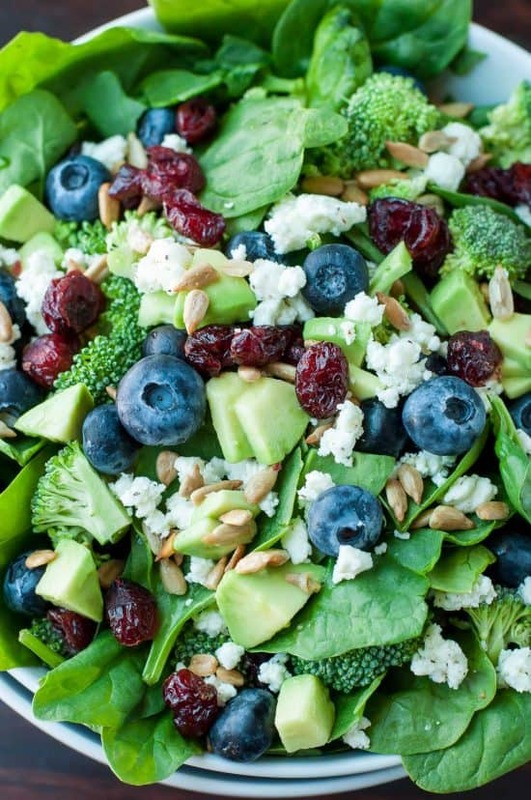 This Salad is light, refreshing, low calorie, and takes minutes to make! 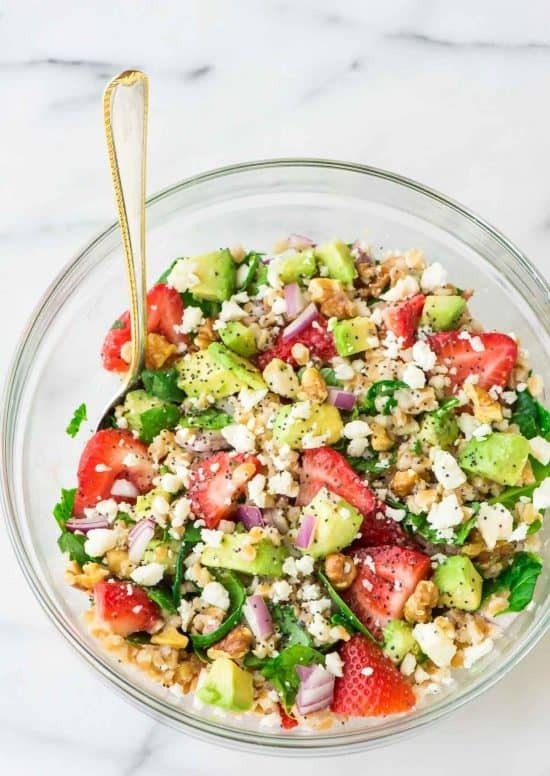 Full of spinach, feta, avocado, and fresh strawberries, this Strawberry Farro Salad makes a perfect summer meal. Tossed in a balsamic poppy seed dressing. 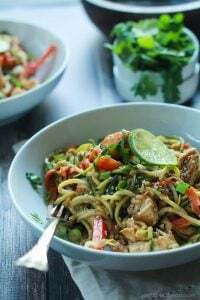 A quick healthy meal that can easily take the place of take-out! 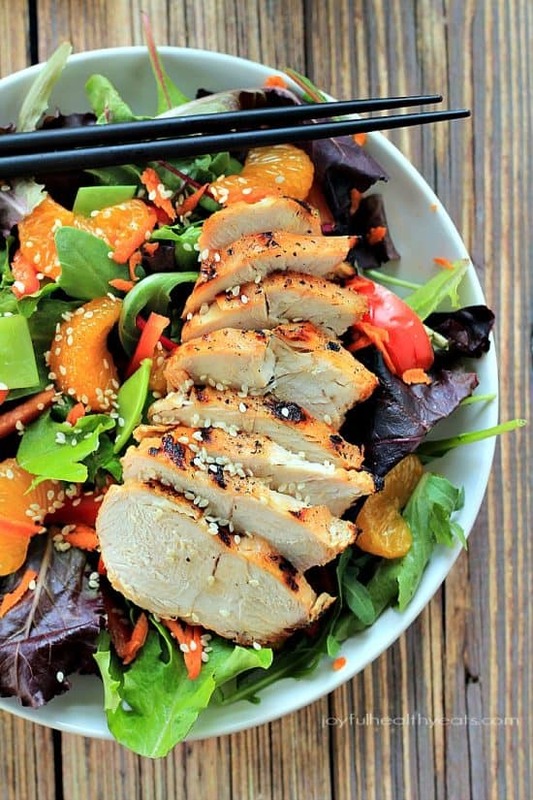 Asian Chicken Salad, packed with vegetables, and topped with a homemade Sesame Ginger Dressing! 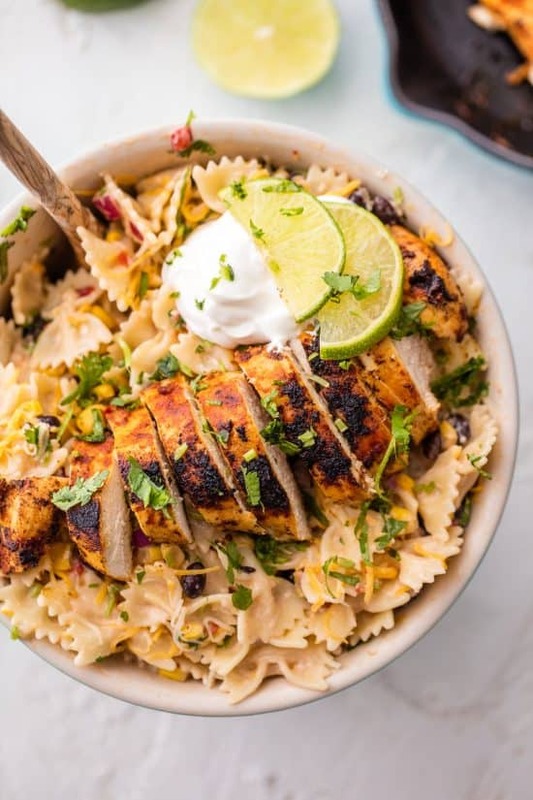 Chicken Enchilada Pasta Salad is bursting with flavor, super easy, and sure to please! 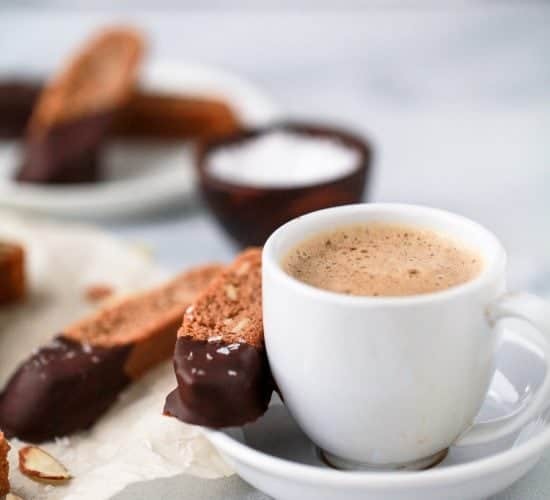 Make it as indulgent or healthy as you’d like, you can’t go wrong! This Colorful Thai Cauliflower Rice Salad is packed full of flavor, spice, and made easy! 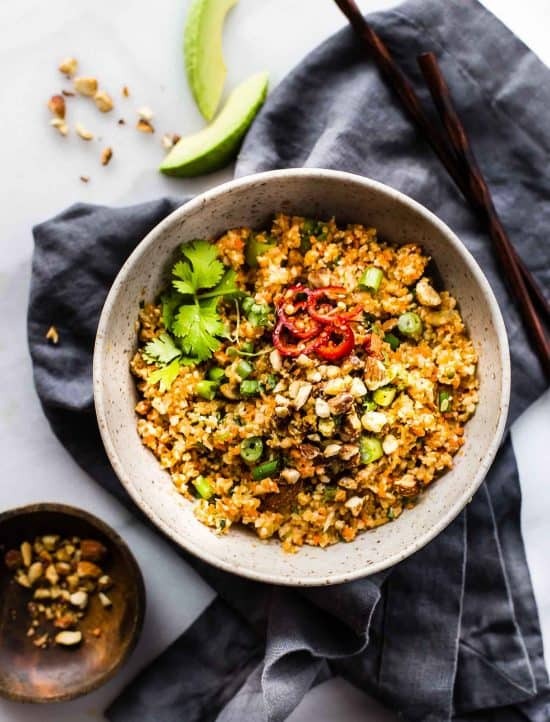 Thai spiced mixed into a Carrot Cauliflower Rice Salad with Avocado Cream Dressing! 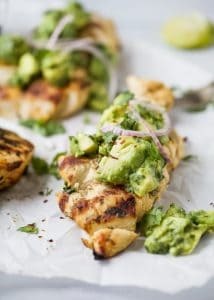 It’s both Paleo, Vegan, and made in under 30 minutes. 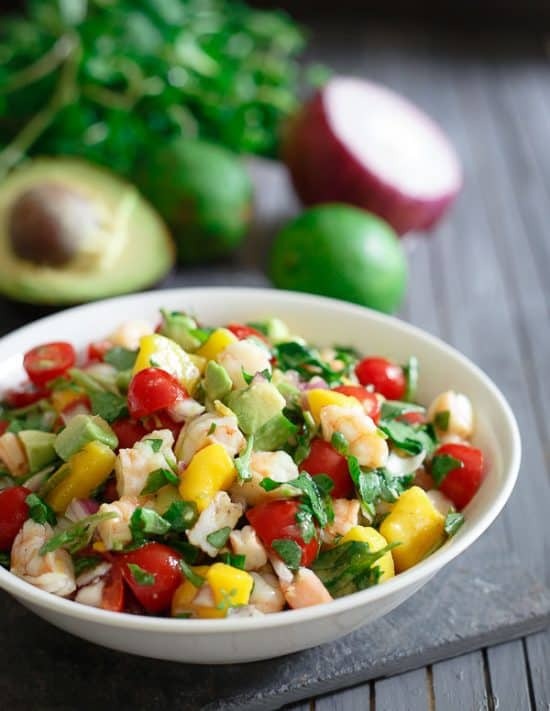 This shrimp avocado mango lime salad is bursting with light summer flavors. 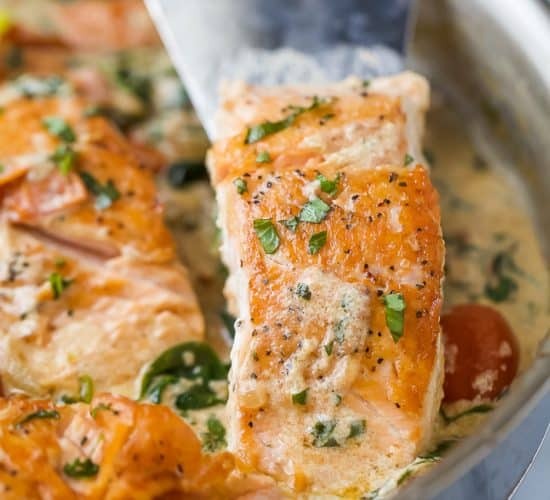 The best part is you can have it ready in just 10 minutes for an easy lunch or light dinner. 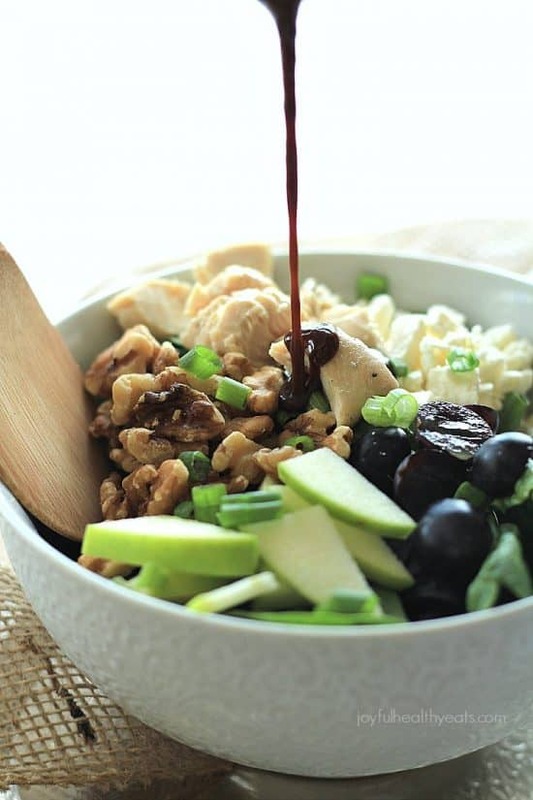 A super easy healthy salad recipe that is packed with flavor, Chicken Feta Walnut Grape Chopped Salad topped with a homemade Balsamic Vinaigrette. 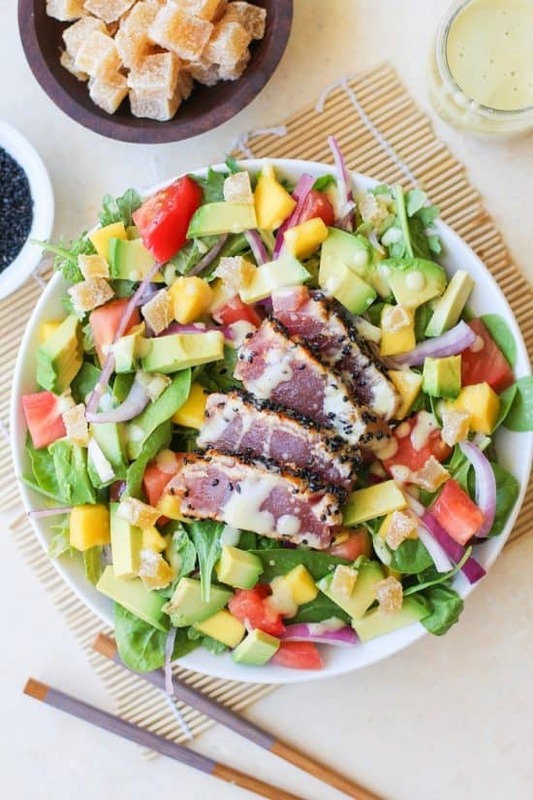 Seared ahi salad with perfectly spiced tuna tossed with fresh greens, mango, avocado, tomato, red onion, crystallized ginger, and creamy wasabi dressing. 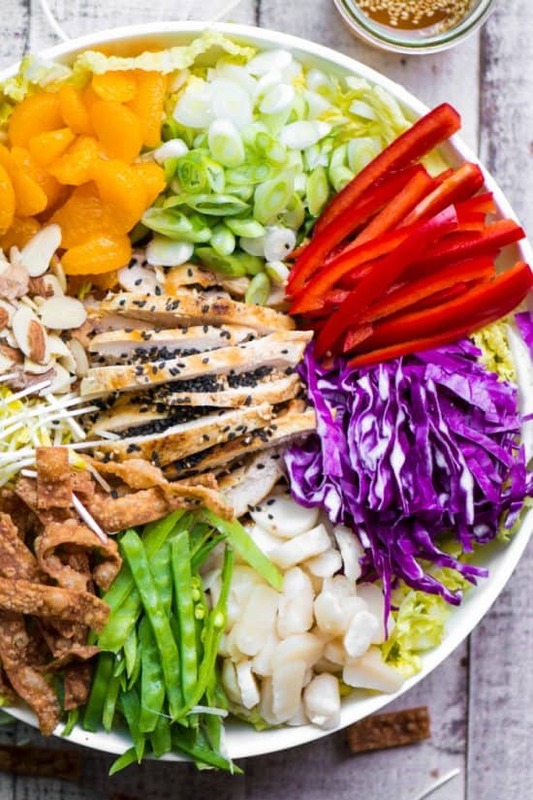 THIS CHINESE CHICKEN SALAD RECIPE IS PROBABLY MY FAVORITE YEAR ROUND MAIN COURSE SALAD. IT’S HEALTHY, SATISFYING, AND INSANELY CRUNCHY! 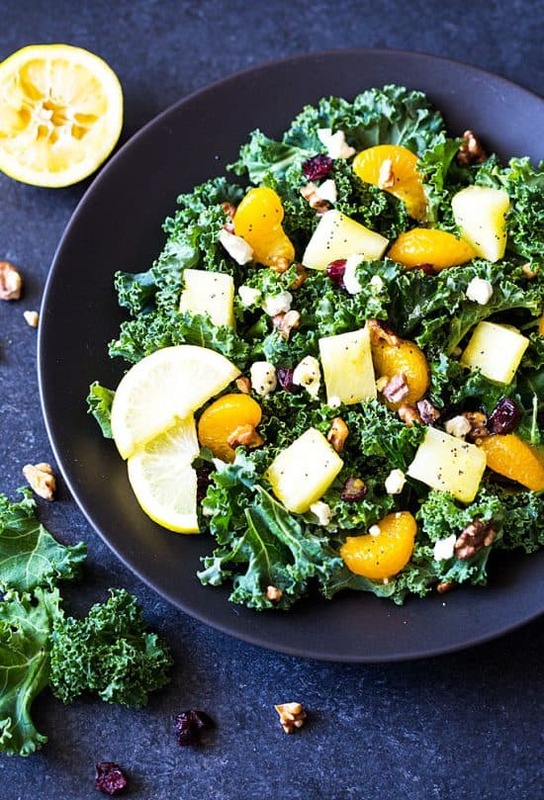 Kale and Fruit Salad with a Lemon Poppy Seed Vinaigrette, so many flavors and so easy to make! 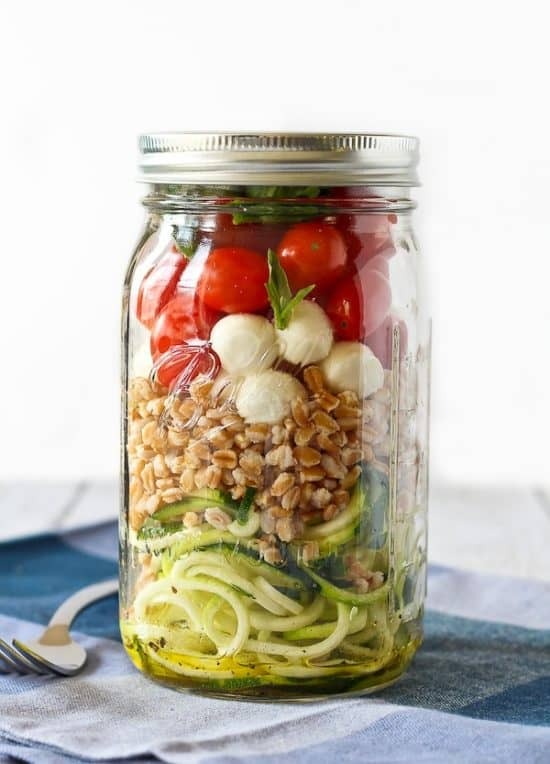 Zucchini Noodle Mason Jar Salad with Farro and Mozzarella – it makes the perfect lunch and is a taste of summer, in a jar! Wow! I can’t pick my favorite! They’re all so good, and super healthy! I love! Ok, I am officially hungry now! These all look amazing! Oh my! This is a feast for the eyes! I am in love with this round-up. Pinning! 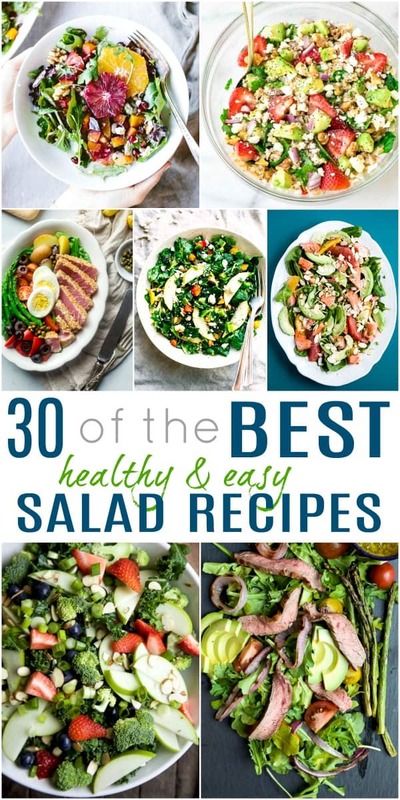 Such a wonderful collection of salad recipes! 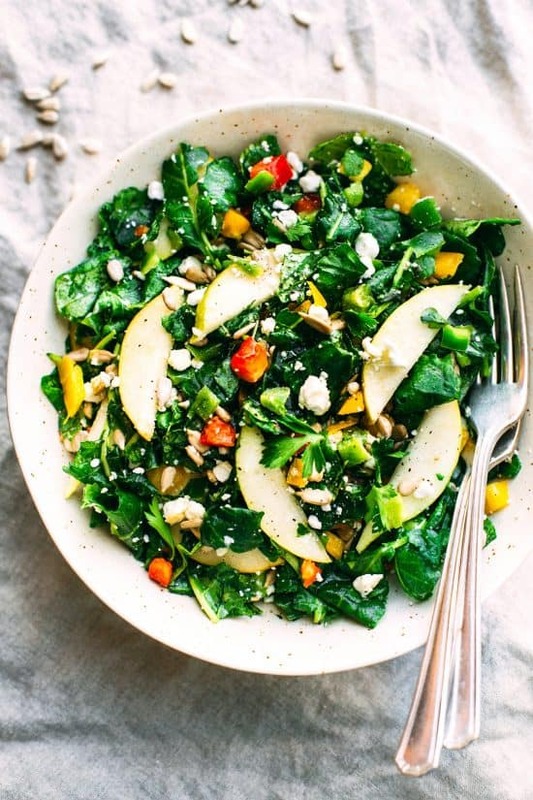 A healthy big salad for every day of the month! it’s perfection, you love it Erin! thanks jenn! and you’re welcome! This is how I want to do salad for the rest of forever. I can live on salads, and I have, but these are EPIC!! 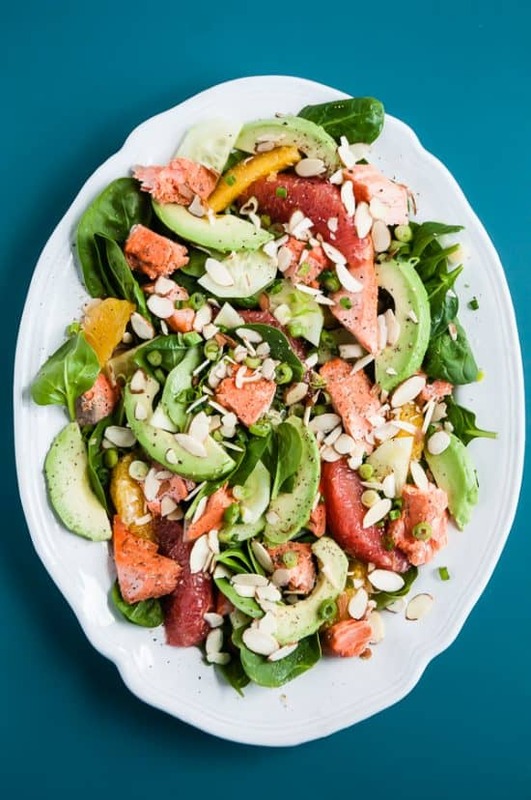 What a fabulous roundup of healthy salads… so much inspiration here! 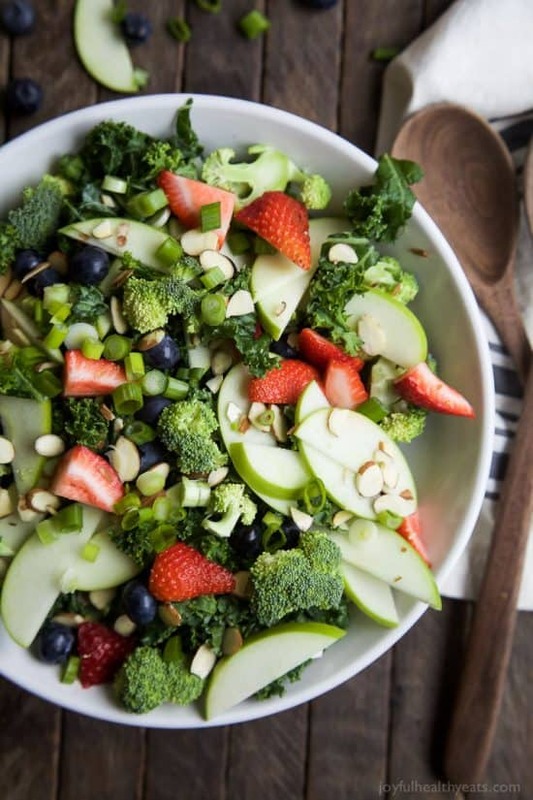 Thank you for including my Kale and Fruit Salad! thanks amy, and you’re welcome! So glad to come across your website. I need to lose some weight and change some of my eating habits. I love to cook; but I think it’s time for salads for a while. I love that you LOVE JESUS – ME TOO! Looking forward to getting some ideas in my inbox. ohhh hurray! Thanks Vanessa! I’m so glad you found me too! It’s all about balance. If you liked the salad roundup you’ll love the grain bowl one too.. perfect and comforting for the fall! Hugs! 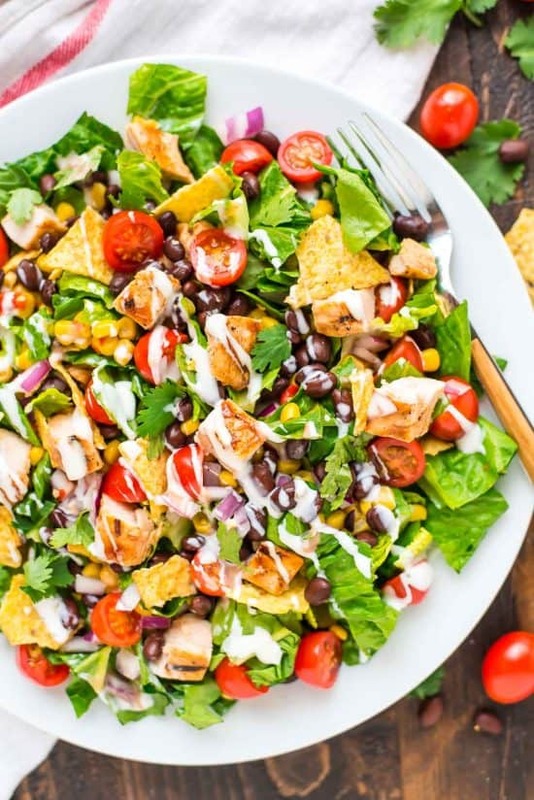 This post is so difficult to read with all the adds in between each salad! I would suggest moving the description above the photo rather than below with an ad in between.